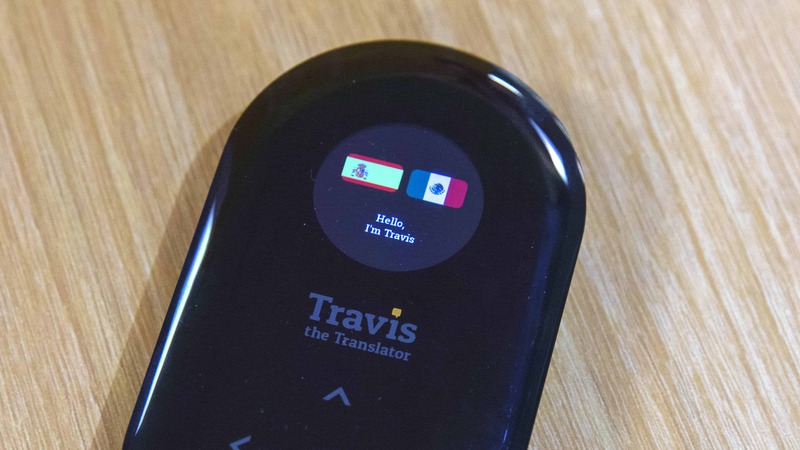 Travis was at the Consumer Electronics Show with a small device capable of translating conversations between people speaking different languages in real time. Technology connects us as far as we are accessible to each other, but those true connections aren’t going to happen until we all understand and are understood by each other,” US Travis representative Robb Selander told AFP while demonstrating the gizmo at a CES event. Travis synchs to computing in the cloud to translate any combination of 80 languages, and a Travis foundation is working to ‘digitize’ lesser known languages in the world. Once a language is digitized it can not only be used in translation technology like Travis but for education and preservation,” said company international affairs manager ElissaGlorie. Digitizing languages also means that those who speak it could get better shots at reaping benefits of technology advances such as voice-commanded computers or virtual assistants, according to Glorie. Travis was founded early last year and launched an Indiegogo crowd-funding campaign in April that blew past the company’s goal. More than 80,000 Travis translation devices priced at $199 were pre-ordered, and most have been delivered, according to Selander. Google late last year hit the market with Pixel ear buds capable of real-time translation of conversations in 40 languages.